Food Poisoning Duration | How Long Do Symptoms Last? Food poisoning often appears without warning. Fortunately, food poisoning’s duration is typically short, between several hours to several days. Usually caused by bacteria, viruses, or parasites found in undercooked or mishandled food, food poisoning causes symptoms that range from discomfort to illness requiring medical treatment. These symptoms include diarrhea, vomiting, abdominal pain, weakness, and fever. 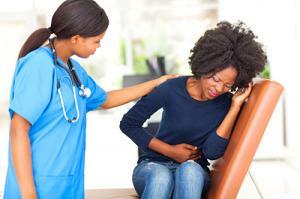 The illness caused by food poisoning usually has a duration of only a few hours or a few days. Sometimes, however, the attention of a medical professional is required. Though food poisoning has no cure, there are treatment options that can lesson food poisoning’s impact and decrease the amount of time it takes to recover. The duration of food poisoning is affected by everything from the age and overall health of the patient to the amount of bacteria ingested. The most common determining factor is the type of organism that contaminated the food. Most common types of food poisoning are viruses and bacteria like Norovirus, Salmonella, and E.Coli. When food isn’t cooked to the proper temperature — or it is improperly stored — these contaminates can survive. Once eaten, the patient may begin feeling sick within 12 to 48 hours. Food poisoning symptoms usually must run their course without much treatment. The most common complication from food poisoning is dehydration, so it is important to consume a high amount of fluids while feeling the effects of this illness. Sometimes, when food poisoning leads to a more serious infection, medical professionals prescribe antibiotics. This may shorten the duration of some symptoms. If the duration of your food poisoning symptoms is longer than a few days, you should seek medical attention. When you need care but want to avoid a crowded emergency room, FastMed Urgent Care provides treatment that is high-quality, quick, and affordable. FastMed accepts all major insurance plans, including Medicare and Medicaid, so check out our Insurance Page to confirm that your plan is accepted. 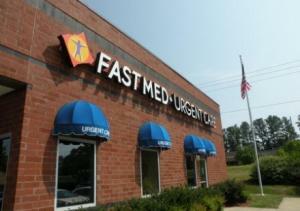 Contact FastMed today to find an urgent care location near you!